Pagoda and 190sl restoration experts. Mercedes Pagoda and 190sl classic restorations have been the core of our business since Silchester Garage started in 2000. Mercedes-Benz has been building cars since 28 June 1926, so their name has built a reputation for quality, reliability, durability, handling, style, and charisma. The 190sl and the Pagoda are the epitome of all these virtues and now they stand as two of the most desirable of modern classic cars. The 107 series, post-1971, is fast becoming recognized as a classic; and experienced investors are currently buying into the best ones. A 230sl, 250sl or 280sl, if well cared for, will offer the very best of classic car motoring, as well a classic that can be used every day. We have restored hundreds of these cars to pristine condition with factory settings and even bespoke builds to the customer request. In case you have one of these jewels to restore to perfection we will be pleased to provide you a quote. As an investment, these beautiful cars have been increasing in value dramatically over the past few years as the first-class cars become harder and harder to find. Not only are they very rewarding, but they are a superb piece of engineering and a pleasure to drive. Unlike the modern car in your garage, a really good modern classic will increase in value for sure. We always carry a stock of cars awaiting restoration or improvements to varying degrees. 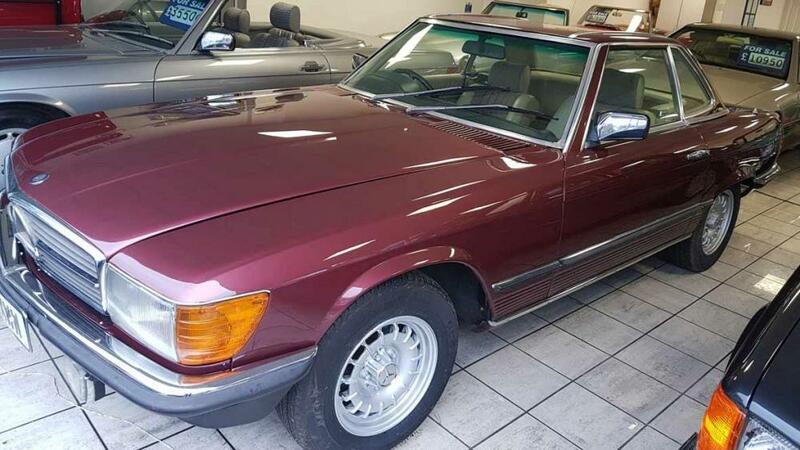 For those who would like a car restored to their own individual preferences, you can select a base car, specify colours and standards, and we will then provide you a written quote and timescale.